Articulate Storyline 360 has landed. What’s new? What’s improved? And, most importantly, does it allow instructional designers or learning designers to create more effective online learning? Articulate has released Articulate 360, which is comprised of a number of desktop applications and web apps. The well-known Articulate Storyline 2 has some of its features updated and improved, and now has a new name, Storyline 360. Does the name remind you of Microsoft’s Office 360? No originality there, but we will cut them some slack! We will review Storyline 360 in more detail below. 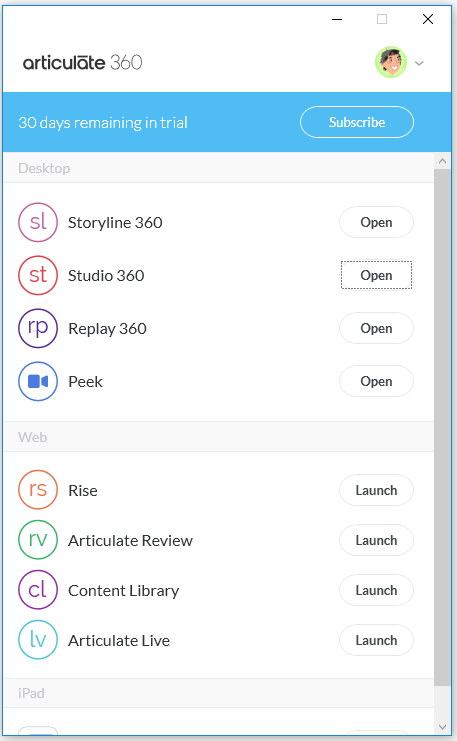 One subscription to access Articulate 360 apps. Studio 360 is the new brand name to encompass the somewhat redundant apps Presenter 360, Quizmaker 360 and Engage 360. These apps integrate into PowerPoint to create interactive courses. 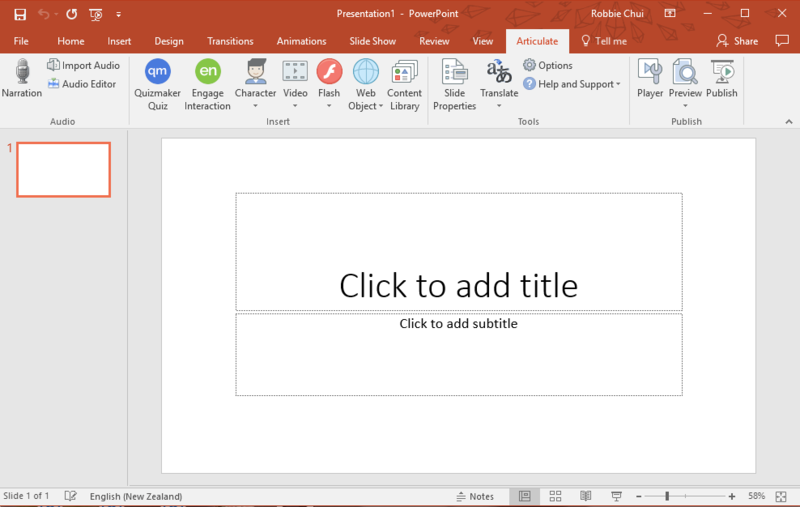 An Articulate tab is added to PowerPoint. Replay is now known as Replay 360. It is Articulate’s version of the popular video recording and editing software, Camtasia. 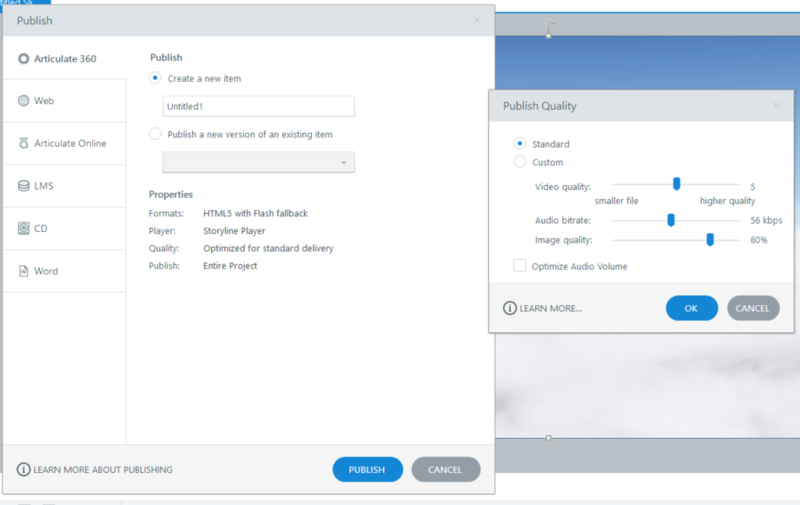 Videos are exported in MP4 format and be can used within any of Articulate 360’s applications, or be run as a standalone video on any computer. 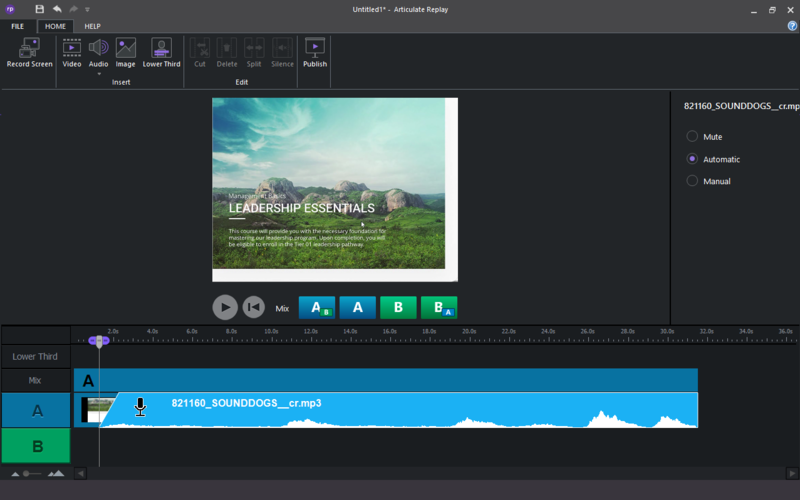 A standalone video and audio editor with screen recording abilities. A similar application to Replay 360 is Peek (without the “360”!). Peek is used to take screen recordings, While Replay 360 can achieve the same result, Peek is much lighter and easier to operate. It offers similar recording features found in SnagIt. Peek makes it easy to record specific applications or windows. 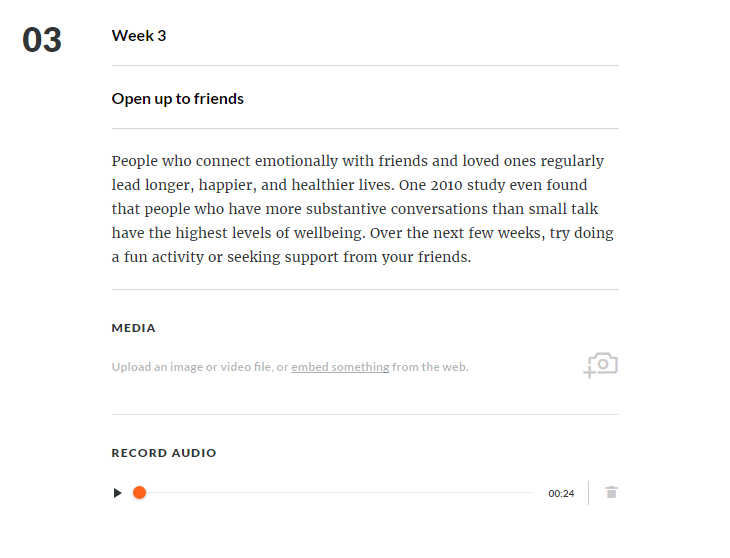 Rise is Articulate’s own take on online course authoring. Courses, including quizzes, can be created through a web browser. Rise does not provide the level of design that Storyline 360 offers, however, it’s a useful app for those wanting to create simple courses for delivery on mobile devices with live previews on multiple devices. The interface is simple to use and content is stacked on top of each other. There’s no surprises to see content such as images, videos, buttons and a number of different layouts can be inserted. Rise courses can be exported to SCORM, AICC and Web formats, or be shared online on Articulate Review. 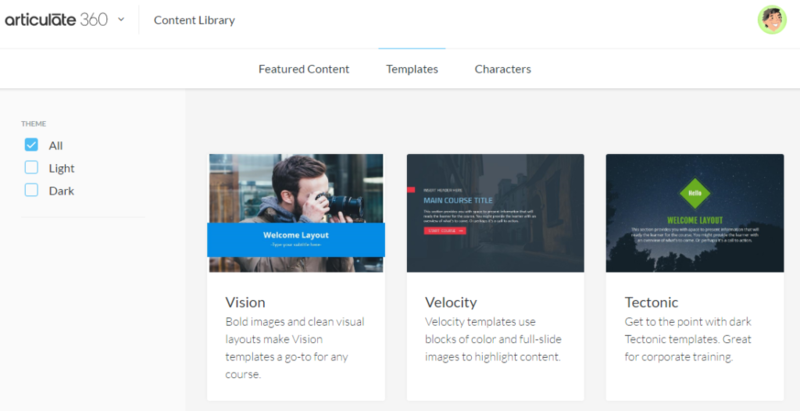 Rise is a web-based authoring tool with responsive capabilities. Uploading media and recording audio is straightforward. Articulate Review is a new online review platform and repository for all things created through Articulate 360. It is much like Dropbox, except it enables subject matter experts the means to provide feedback and view courses and media online. This is a great platform to collate feedback and manage version control. The only concerns or questions we have relate to the security and the amount of free storage provided. We like the fact that you can upload anything created through Articulate 360 and see it “live”! Review live modules and other media created through Articulate 360. A new way to source stock imagery, illustrations, graphs and templates is through Content Library. Preview what is available on the website, or, simply download them through Storyline 360 or Studio 360. Content Library is full of inspiration with search filters to easily find the right look for any course. This is a handy resource for new developers or organisations who aren’t too particular about their course branding. However, it simply can’t compete with having an in-house graphic designer. Refreshed templates and character imagery. Articulate has always been known for their superior online support and user communities. 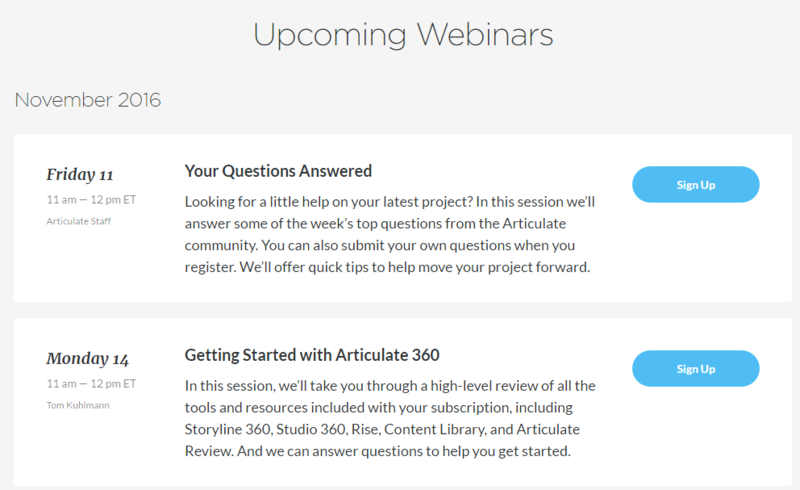 Articulate 360 continues to build on this with Articulate Live, where Articulate runs weekly webinars for learning and development professionals presented by industry experts from around the world. 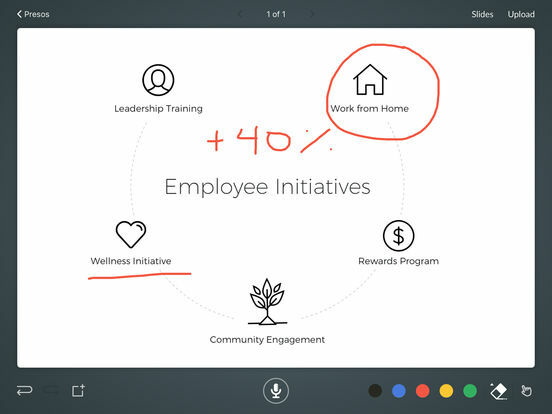 Last but not least, there is a new app for iPad, Preso: “Preso is an iPad app that’s part of Articulate 360. It makes it easy, fun, and fast to create informal training videos on your iPad. Narrate and annotate images and PDF slides with simple swipes, taps, and gestures. Walk learners through slide content with audio. And help them visually with pans and zooms, pen and pointer highlights…”. And yes, videos created with Preso can be exported as a SCORM file to an LMS, or uploaded to Articulate Review. It’s only a matter of time before an Android equivalent is available, we suspect. So, what’s new in Articulate Storyline 360? First of all, for existing Storyline 2 users, yes, existing projects be brought over to Storyline 360. However, like any new piece of software, there are bugs. From our initial experience, we faced some problems converting our existing projects. We saw text boxes disappear and a few instances of Storyline 360 crashing. This bug is surprising to see considering how many users need this to work from day 1. The interface largely remains the same. In the insert tab, the Controls group of buttons is no more. These are now accessible straight from the insert panel as their own icons; data entry, text entry and check boxes now sit under the Input group of buttons. The exciting new feature under the Insert tab is the Dial interaction. 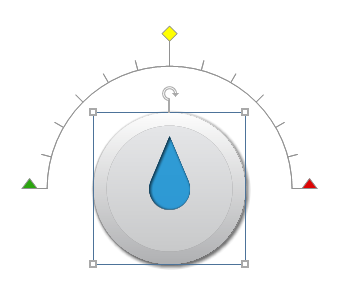 The pop-up description says “A dial lets a user rotate a shape around a mid-point along a range of allowable values.” Much like when sliders were introduced in Storyline 2, it will take some time for learning designers to understand the practical use of it and how it can improve the learning experience. New layout under the Insert tab. 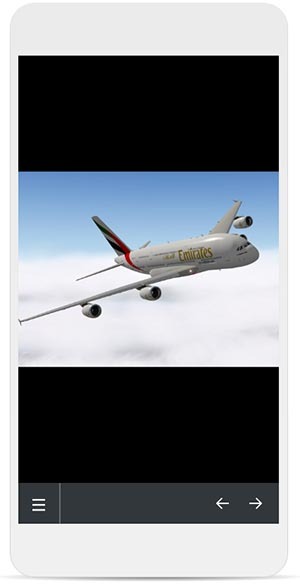 The interactive Dial in Storyline 360, which operates similarity to sliders. 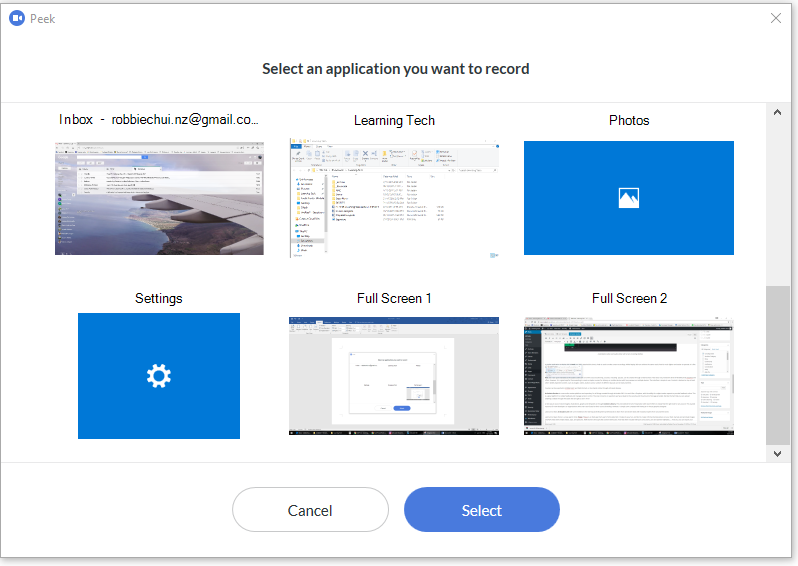 Slides is a new tab that contains some of the buttons that were only previously accessible through the Story View – Question Bank and Record Screen. The New Slide button is also only accessible from here (as opposed to under the Insert Tab previously). Preview what a course will look like on tablets and mobile devices. 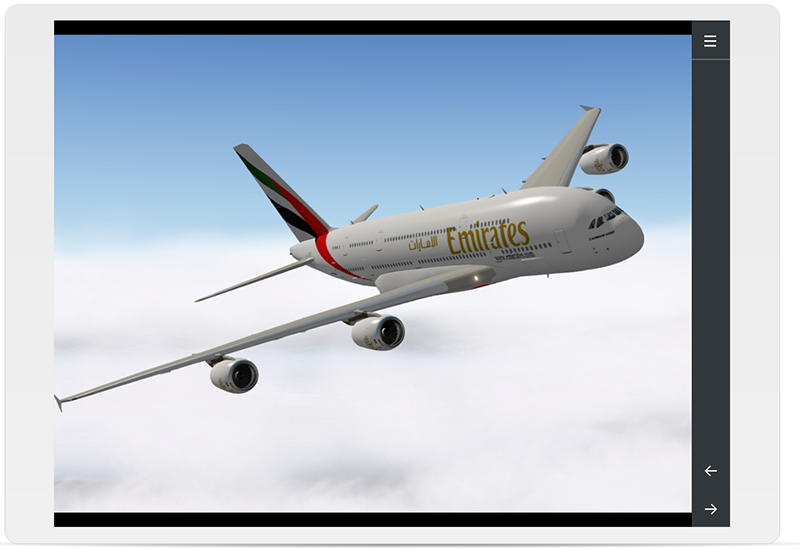 The new built-in navigational pane now appears natively when courses are run on the small screen. In additional, we are excited about Articulate 360 supporting swipe and pinch to zoom gestures. Why click a next button when you can swipe away on your tablet! The other major changes are in Publishing settings. From the Articulate 360 tab, you can publish and upload straight to Articulate Review. Why isn’t the tab named Articulate Review? HTML5 publishing has been improved in terms of compatibility across different devices and modern browsers. Courses can be published in HTML5 only, HTML5 and Flash (where HTML5 is used if available and Flash as a fallback), Flash and HTML5 or Flash only. In the Quality settings, Optimize Audio Volume is an automated feature that, when enabled, normalises the volume of all audio files to produce consistent volume across all slides. We always recommend developers not to use any of these automated quality settings; rather, ensure the audio, image and video files are of the right size and quality before importing them into a Storyline. Interestingly, in Publishing, a course can be exported either as an entire project (status quo) or as a single scene or slide. We believe this is useful in situations where only a few slides or a specific slide needs to be tested. A change in the layout with additional publishing features. Is It Worth Upgrading from Storyline 2? We would say, no, at this early stage. Later, yes! There are bugs to iron out and some help resources missing, which is par for the course for any new software. Having said that, while we may not use most of the applications that come with Articulate 360, we can definitely see the great value of having Storyline 360 and Rise at our disposal. If Storyline 2 is working well in its current learning environment, there is no urgent need to upgrade. For developers looking to get into Storyline 360 for the first time, jump into it because Articulate 2 licences are no longer sold. Be wary of being an early adopter though! Hey Robbie, really sorry to hear about the buggy behavior you saw when importing Storyline 2 content! Would you mind sharing the details with us at articulatecase.com so that we can figure out what might be going wrong there? Thanks! I believe that Articulate are still selling storyline 2 standalone licenses. What do you think of the HTML5 output in 360? I'm a little concerned about it being too locked down. From what I've read, mobile devices see the course in a default player - something we can't readily alter. I've had to build all kinds of JS workarounds to get the S2 HTML5 output to work the way I need. Even aside from wanting to control the user experience, I'm excited about building more canvas/JS interactions with the new Adobe Animate CC, and I'm wondering if the 360 output will be even more difficult to work with than what came out of S2. Some great new features. Rise has a lot of promise! I agree, not worth it now. We use Lectora Inspire, Storyline2, Camtasia, SnagIt, Captivate, Adobe Audition, Photoshop, etc. Lectora seems superior at present for Responsive Design. And we have been very impressed with the easy of screen to video recording with SnagIt's latest version. First sentence I would suggest this instead: Articulate has released Articulate 360, which [is comprised] of a number of desktop applications and web apps. The end of the second paragraph under "Review", you use the phrase "in-house graphics designer" which is grammatically incorrect. Graphic does not need an "s". It would be like saying my friend is a "Houses Painter". No he would be called a "House Painter". Or "Interiors Designer" when the correct adjective is singular. No worries, a lot of people get that wrong. Hi. Thanks for a great article. I'm a teacher thinking of becoming an independent instructional designer and will be educating myself over the next year to learn the tools of the trade. My question is if it is worth it to purchase the (relative expensive) Articulate 360 for my purpouses at this point. The aim is to start and publish simple courses as soon as possible as nothing beats learning through doing. I will appreciate any thoughts. Hi Theo, thanks for your comment. I would suggest getting the Storyline 3 version for now while you learn the tools of the trade and don't need all the other bells and whistles outside of Storyline itself.